Fernando’s Review of ‘The Theory of Everything’!! Biopics are a tricky thing. Nine times out of ten, you’ll end up with something more suitable for a Lifetime or Hallmark channel movie. This is especially true when you tackle a larger than life subject, someone with much more story than is capable of being captured in a 2 hour run time. 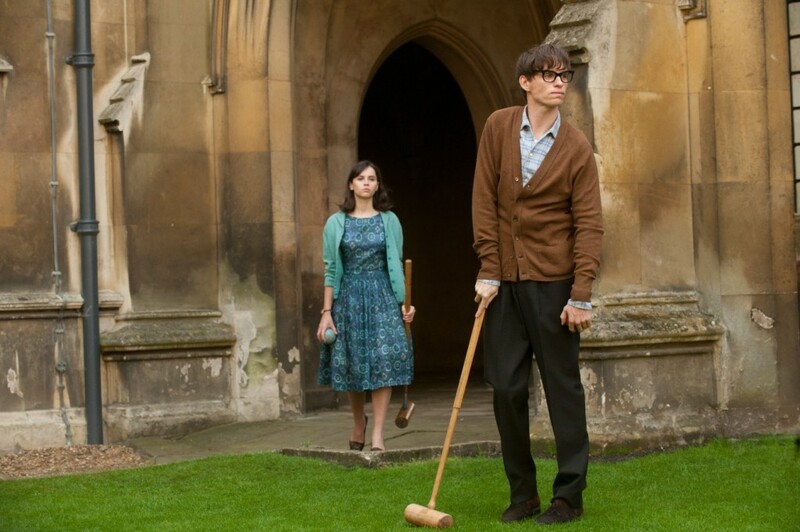 I am happy to report that “The Theory of Everything” lies in that rare category of a biopic done right. I expected to come into this and learn a bit more about Stephen Hawking’s theories. Unfortunately, I guess I’m gonna have to read if I want to learn something about science. What I got instead is an almost magical portrayal of a brilliant mind, his journey towards scientific enlightenment, and a simultaneous broadcast of his relationships with his family, his health, and his aspirations. Hawking is fantastically played by Eddie Redmayne. The vast majority of us have only known the public image of Hawking as he appeared after having developed a motor neuron disease, a brilliant mind confined into an uncooperative body. What Redmayne does so well is to give us a glimpse of how Hawking may have been before. He shows us a goofy genius, a socially awkward charmer. Redmayne perfectly captures the transformation from the youthful Cambridge scholar to the physically confined man we know today, but never once do we doubt that Hawking’s mind is brilliant. Redmayne emulates the disease while never losing sight of the personality constricted within it. Equally important and impressive, if not more so, is Jane Wilde, portrayed by Felicity Jones. Jones’ plays Hawking’s first wife, who was with him from his youthful days until much later in life. She was his caretaker, his partner, and at many times, his necessary grounding into reality. The film actually feels like an album of home movies (not counting the intermittent recreations of home movies splattered throughout the movie). None of the scenes seem forced. The cinematography and excellent script makes the viewer feel like they are part of a memory instead of just a listener. Every shot looks beautiful and stylized, but never to the point of exaggeration; instead, the film feels much like a dream which we are living. It’s quite a tale to be told, and though I came out knowing nothing about black holes or string theory, I did come out feeling like I saw something real. This is masterful storytelling, and I would highly recommend this distinctive gem in the tumultuous sea of biopics. P.S. There is an awesome Doctor Who reference. I don’t know if Hawking is actually a fan, but I’d like to think he is. 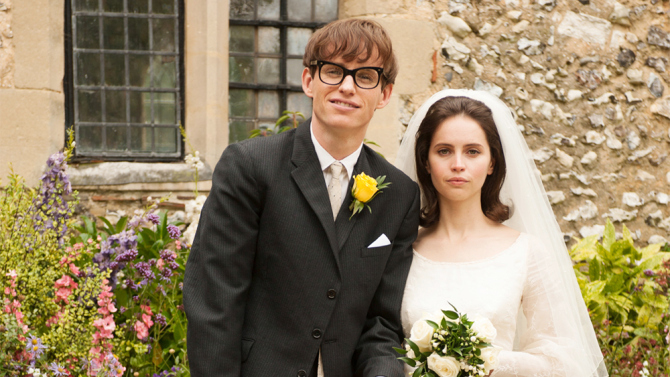 Film Review: ‘The Theory of Everything’!! This entry was posted on Tuesday, December 2nd, 2014 at 2:51 pm	and is filed under Film, News. You can follow any responses to this entry through the RSS 2.0 feed. You can skip to the end and leave a response. Pinging is currently not allowed. « ABC News Combines Information With Facebook In ‘Facecast: The One Thing’!! !